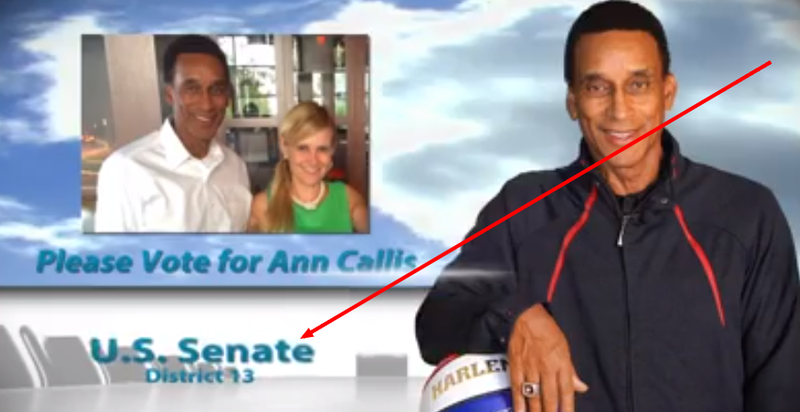 Judge Ann Callis Is Running For What Now?!? One of our tipsters sent us over this image - which is a screenshot of a video posted by Mannie Jackson of Harlem Globetrotters fame. 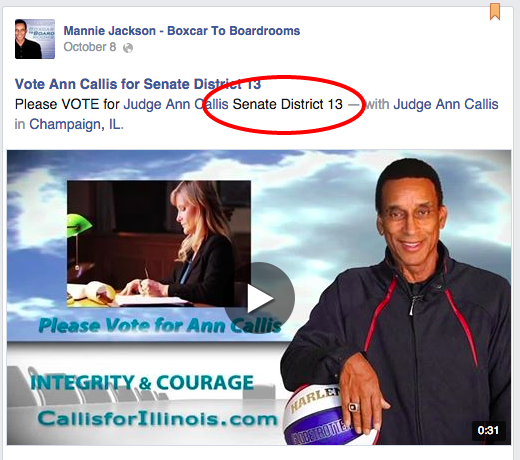 In a video - and accompanying Facebook post, Mr. Jackson urges 'all Democrats' to get behind Ann Callis for "US Senate District 13". You heard it here first, folks: this is the work of the Frerichs Vortex! Mike Frerichs and the damage done by his so-called "Frerichs Vortex" aren't finished, either. Beware Democrats. He's coming after you!